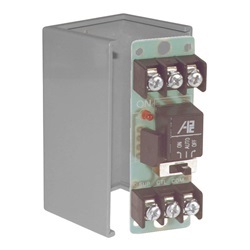 MR-600 Series Relays offer SPDT 10 Amp contacts @ 120VAC and 7 Amp @ 24VDC with manual override capabilities by means of an integral "ON-AUTO-OFF" switch. 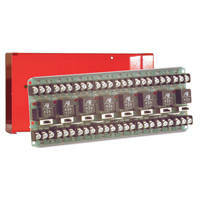 The switch requires a 24VAC or 24VDC constant power source supplied by the controlling system. 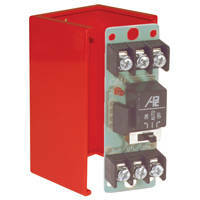 When the switch is in the "ON" position the relay is energized. With the switch in the "AUTO" position the relay is allowed to operate as signaled by the controlling system with a separate control input of the same 24VAC or 24VDC. With the switch in the "OFF" position the relay will not be energized. 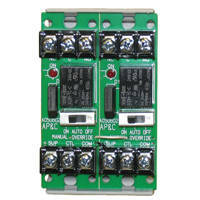 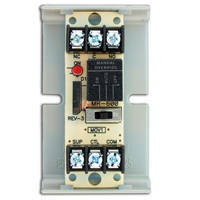 Each relay position contains a high intensity red LED which, when illuminated, indicates the relay coil is energized. 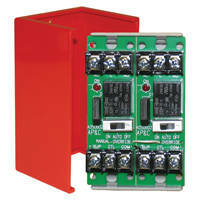 This provides a time saving convenience when checking an installed system - no metering is required. 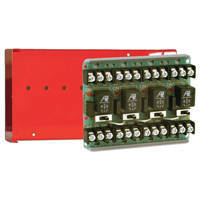 Relays may be "snapped apart" from standard 2, 4 or 8 position modules and are also available in the single circuit configuration. 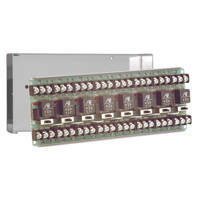 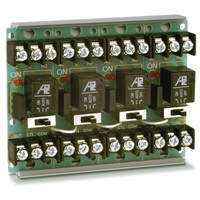 Relays are supplied with either mounting spacers, track mounting hardware or mounted in enclosures. 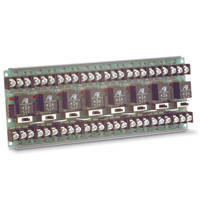 The common (black) and supply (white) power to each relay position is bussed on the printed wiring board via color coded jumpers which permits power to be connected only once per multi-position module. 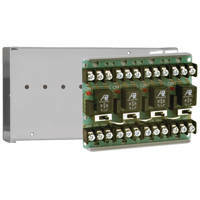 These jumpers also allow position isolation or separation of cut.